Oblong 4to; pp. 12; paper wrapper, a good copy. Published by author, n.d..
Australia, George Robertson & Company, (1893).. 8vo; pp. xi, 131; original green cloth, title in gilt on spine, spine and corners bumped, boards heavily scuffed, previous owner's name to half title page, page edges uncut, a good copy. Melbourne, Sydney & Adelaide, George Robertson & Company, MDCCCXCIII. (1893).. 8vo; pp. xi, 131; original green cloth, title in gilt on spine, spine and corners bumped, hinge cracked, previous owners name on front endpaper, silverfish damage to cloth, a good copy. n.p. Printed: Launceston, Seddon Press, 1989.. First Edition; 8vo; pp. 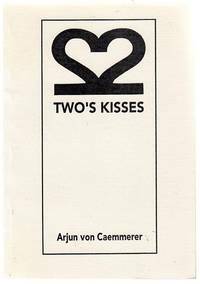 80; b/w illustrations; stiff stapled illustrated wrapper, wear to wrapper, marks to back of wrapper, a good copy. n.p. Printed: Launceston, Seddon Press, 1978.. First Edition; 8vo; pp. 64; b/w illustrations; stiff stapled illustrated wrapper, spine bumped, marks to back of wrapper, a good copy. Jurgen. : A Comedy Of Justice. London, John Lane The Bodley Head, 1926. . reprint; small 8vo; pp. xvi, 328; soft full brown leather binding; gilt to all page edges; raised bands; title lettered in gilt on spine; first letters of each chapter elaborately illustrated; browning to endpapers where leather binding has contact; ornate bookplate to fixed endpaper; otherwise a very attractive copy in very good condition. Introduction by Horace Walpole. Beautiful heraldic bookplate with motto Agite Pro Viribus. Australian Biographical And Genealogical Record. : 1842-1899. Series 2, Volume 3. CABLE, KENNETH J; MARCHANT, JANE C.
Sydney, A.B.G.R. 1988. . First Edition; 8vo; pp. xvi, 302; numerous b/w photographic portraits throughout; original green cloth, title in gilt on spine and front, a fine copy. Australian Biographical And Genealogical Record. : 1842-1899. Series 2, Volume 1. Sydney, A.B.G.R. 1985. . First Edition; 8vo; pp. xvii, 288, numerous b/w photographic portraits throughout; original stiff illustrated wrapper, chipped edges, otherwise a very good copy. Sydney, Golden Press Pty. Limited, n.d., (c 1988).. Lge. 4to; pp. 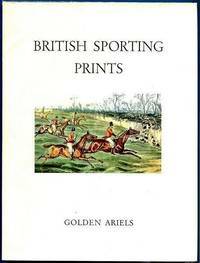 188; colour illustrations throughout, index, picture credits; hardback, dustjacket, a fine copy. Sydney, Golden Press Pty. Limited, n.d., (c 1988). Lge. 4to; pp. 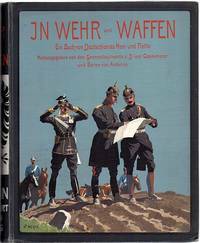 188; colour illustrations throughout, index, picture credits; hardback, dustjacket, a fine copy. 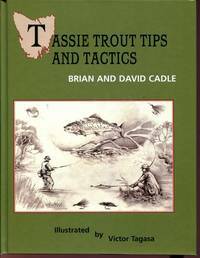 Guide To Trout Angling. 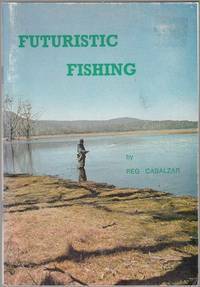 : Incorporating "Freshwater Fishing". 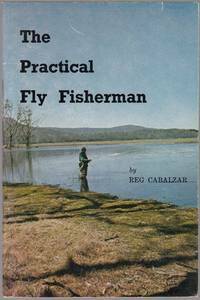 A Complete handbook on the arts of fishing for trout (and other freshwater species), fly tying, casting, fishing tackle selection, and hints to help you catch more fish. Afco Pty. 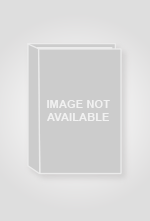 Ltd, for the proprietors, Sydney, N.S.W., corporated Publications Pty. Ltd. n.d.. 8vo; pp. 120; illustrated endpapers, profusely illustrated; stiff illustrated wrapper, previous owner's handwriting on front free endpaper, damaged wrapper, a good copy. 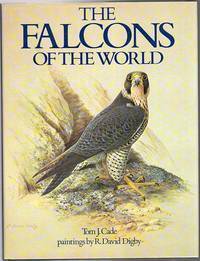 The Falcons Of The World. CADE, TOM J; DIGBY, R DAVID. London, Collins, (1982).. First Edition; 4to; pp. 192; 39 colour plates, maps, numerous tables and figures, bibliography, index; original cloth, dustjacket, a fine copy. London, The Ariel Press, (1963).. 4to; pp. 14 (xlviii); 24 pages of colour plates; original boards, rubbed and marked dustjacket, price clipped; otherwise a very good copy. (Devonport, Brian Cadle, 1995).. First Edition; 4to; pp. viii, 136; illustrated frontispiece, 26 illustrations, index, original slick illustrated boards, a fine copy. Signed by Authors. Women And Children First. : The Fiction Of Two World Wars. Uncorrected Proof; 8vo; pp. 293, (10 blank); illustrations, select bibliography, index; stiff wrapper, a good copy. London, Victor Gollancz Ltd, 1978. (np), (1992).. 8vo; pp. 82; stiff illustrated wrapper with minor markings to front and back wrapper, with price sticker to back of wrapper, minor flecking to top of page edges, otherwise a very good copy. Signed by Author, This book is limited to 200 copies, this is number 62 of 200. CAEMMERER, D. VON. UND ARDENNE BARON VON. The Battle for Gaul. : A New Illustrated Translation. London, Book Club Associates, 1980.. 8vo; pp. 208; map endpapers, b/w frontispiece, b/w illustrations throughout, 8 colour plates, glossary, index, original green cloth, title in gilt on spine, dustjacket, tail edge of boards lightly scuffed, otherwise near fine copy. Tal's 100 Best Games 1961 - 1973. London, Batsford, 1975. . First Edition; 8vo; pp. 251; diagrams, index of players, index of openings, original cloth, dustjacket, very good copy Tal's 100 Best Games 1961 -1973 is a selection of his most interesting hundred games, all of them annotated in depth, since he became the eighth World Champion by defeating Botvinnik in 1960. CAFFERTY, B; GILLAM, A J. First Edition; 8vo; pp. 80; diagrams; stiff illustrated wrapper with minor flecking, good copy. Nottingham, The Chess Player, (1977).